We’re so glad you stopped by! We’d like to welcome you to the North Philadelphia Seventh-day Adventist Church. 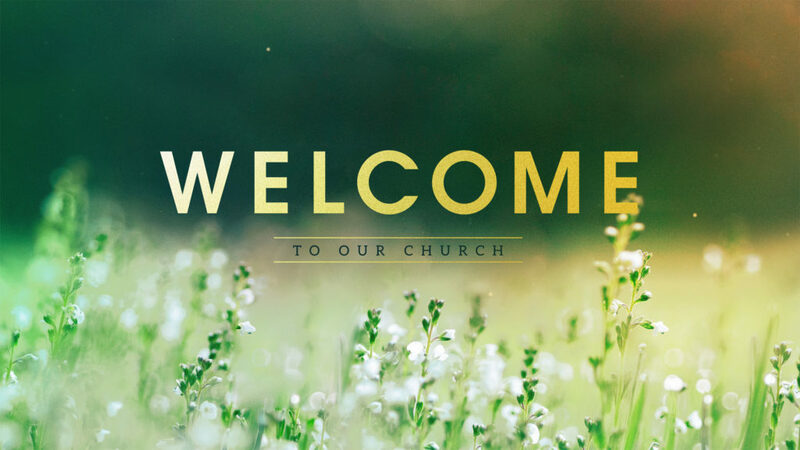 We want to know exactly when you’re planning to visit us, so that we can ensure that you feel like a member of our church family! Complete the form below to let us know when you’re coming, and a “North Friend” will contact you prior to your visit, and meet you in the church lobby to guide you through your first worship experience with us. Each Saturday, you will experience an uplifting praise and worship session from our praise teams, and powerful preaching from Pastor Marquis D. Johns. We also have wonderful programming for children, so if there are little ones in your party, please do bring them with you! It just takes two minutes to let us know you’re coming – please complete our form now! Here’s a list of questions people frequently have about our church. If your question isn’t answered here, you can ask your “North Friend” when they contact you to confirm your visit, or you can submit your question via our website! We serve free breakfast every Saturday at 9:00 a.m. before our services start! Our traditional Bible study classes for adults and children meet at 10:30 a.m. on Saturday. Our worship experience is at noon on Saturday. We have a prayer service at noon and 7:00 p.m. on Wednesdays. We also host an open lunch for our community (anyone can attend) on the 2nd and 4th Sundays of the month from 2:00 p.m. to 4:00 p.m. We distribute food to those in need on the 2nd and 4th Wednesdays of the month from 4:00 p.m. to 6:00 p.m.
We utilize street parking around our church. Once you let your “North Friend” know you’re coming, we will have a parking pass ready for you to place in your vehicle so that you are parked legally. Can I take public transportation to the church? Yes, both Septa bus and rail have stops near our church. Septa bus route #2 stops directly in front of the church. Septa bus route #3 stops at Cecil B. Moore Ave (1 block from the church). Septa subway: Use Cecil B. Moore stop. Use the Google Transit form on the Septa website and get a route mapped out for you. The church’s address is 1510 W. Oxford St, Philadelphia, PA 19121. We hold interactive Bible study classes for children (18 and under) on Saturday mornings at 10:30 a.m. Children follow a guided curriculum and participate in age appropriate activities that teach them Bible truths in language they understand. Our Adventurer and Pathfinder clubs are very similar to Girl and Boy Scout programs, except that they also include a religious component. These clubs meet two Sundays a month, and allow children to learn practical skills, life lessons and develop lasting friendships. One of the highlights of each club’s yearly activities is the annual camping trip. The Adventurer Club is geared to children ages 4 to 9; Pathfinders is for those ages 10 to 16. That decision is totally up to you. We will not turn you away because of what you wear. We really get into our worship, so you might want to ensure that whatever you choose gives you enough room to “get your praise on”! Can I get Bible studies? We would be thrilled to study the Bible with you! Use our contact form to give us your information and one of our church leaders will be in touch shortly. Certainly! Submit your prayer request here. You’ll be able to choose to have someone verbally pray with you, or to have your request prayed for by our prayer warrior team. You can also make an appointment to meet with Pastor Johns for prayer. How can I volunteer to serve with a ministry? We encourage all of our members to participate in some ministry, especially in our outreach activities. Send us a note about a specific ministry you’d like to volunteer with, and we’ll put you in contact with the right ministry leader.